Signup for the Spirit Talker Tribe Newsletter below you will get Three FREE Gifts. 1) A Video containing "Five Free Starter Tips on how to grow your Intuition and Psychic abilities"
3) A Free "Meet your Spirit Guide Meditation"
"Spirit Talker Tribe" founded by Aboriginal Medium Shawn Leonard. Shawn will be teaching people in a online training group, how to grow spiritually, connect to your Spirit Guides, Angels and your Loved ones in the Spirit World. Ultimately develop your Intuition and Psychic abilities. The Official Spirit Talker Tribe online training site will be open to sign up September 7th 2018 - Limited to September 30th 12:00 Midnight. Official training starts October 1st 2018. After September 30th 12:00 you will not to have the ability to sign up again until September 2019. Following the success path of each module listed below, you are going to take the exact steps that Shawn has taken to develop his own abilities. A new module of learning is released each month, that will help you move you one more step closer to helping you become more Spiritual, more Connected and more Intuitive and Psychic. Shawn's guidance and teachings will allow you to develop your Intuition and Psychic abilities. This is an very unique opportunity to be a part of a 12 month online training with Shawn Leonard. Following Shawn's guidance and success path of teachings, your life will will never be the same again. Your life will be more enriched, living a more spiritually connected Intuitive/Psychic reality. 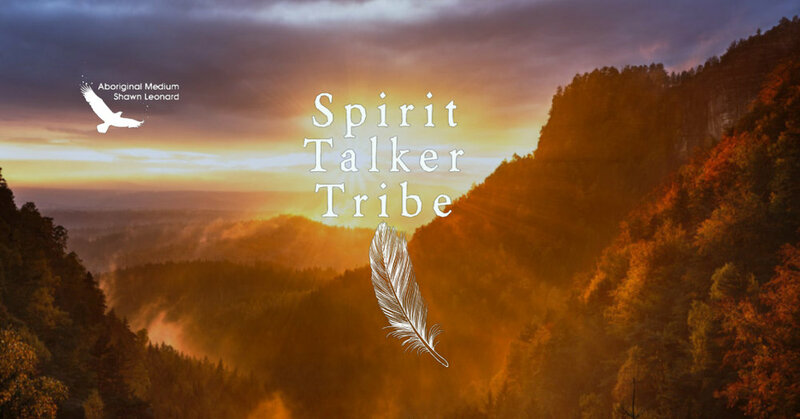 The Official Spirit Talker Tribe training online site will be open to sign up on September 7th 2018 - Limited to September 30th 12:00 Midnight. Official training starts October 1st 2018. After September 30th 12:00 you will not to have the ability to sign up again until September 2019. Starting October 1st my focus and energy will be with my students, helping them achieve the results I know they will get following my success path and teachings.